Cut the cucumbers length-ways and scoop out the center with a spoon. Cut the tofu and steam for 5 minutes. Add the umeboshi paste and steamed tofu, mash them together. 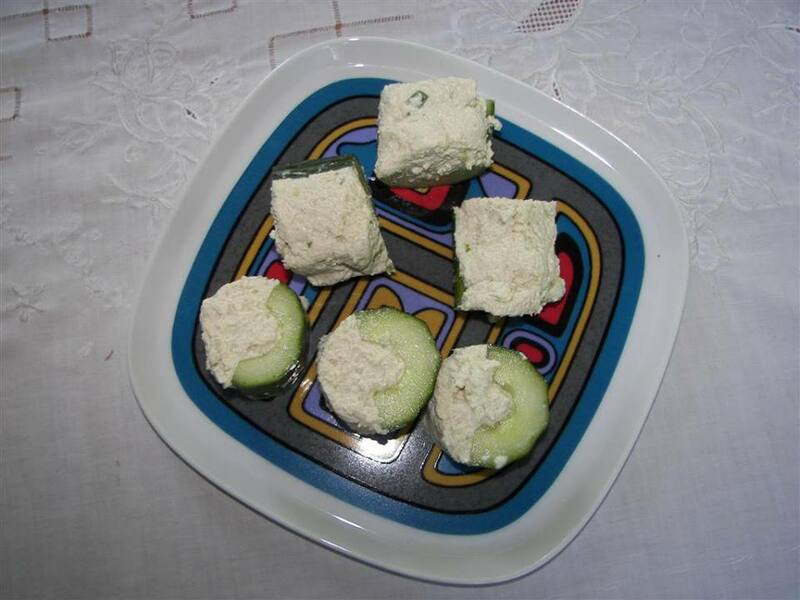 Fill the cucumber with the tofu mixture. Cut the cucumbers into ½ inch pieces and serve garnished with nori flakes.